I grew up on a farm in rural Norfolk County, Ontario. I was sixteen when I decided that midwifery was my calling. I liked the emphasis on holistic health care, normal birth, and women making their own choices during their pregnancy. I spent the rest of my education learning all I could about pregnancy and birth, including training and volunteering to be a doula at age 19. Both as a mother and a midwife, I have a special interest in the community building aspect of educating and connecting local families. I attended Trent University in Peterborough, where I studied a mix of biology and Women’s studies, at which point I was accepted into the Midwifery Education Program at Laurentian University in Sudbury. I focused my midwifery training in rural areas, doing my clinical placements in a predominantly Amish and Mennonite community in Perth County as well as closer to home in Brantford, Ontario. 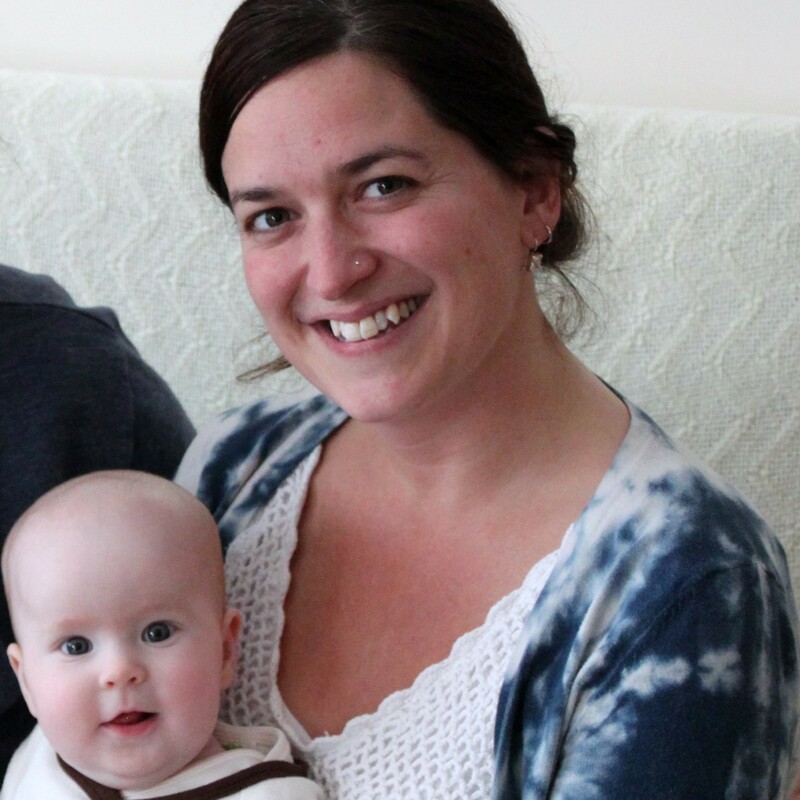 I spent a few years doing locum midwifery work, which took me to Haliburton and Wellington counties, and enriched my skills of creating trusting relationships quickly with clients. I have also co-chaired the More OB obstetrical improvement program at Norfolk General Hospital, been a contributing member of the Postpartum hemorrhage Clinical Practice Guideline working group through the Association of Ontario Midwives, and have begun to co-chair the Norfolk County Breastfeeding Buddies interdisciplinary committee. I continue to enjoy the rural life. Since I was born and raised in Norfolk County, it seemed like the next step to start Norfolk Roots Midwives in my home community. I enjoy being a part of many community groups and helping to facilitate bonds with local resources in our area. I strive to improve the quality of health care available for Norfolk families.